dismiss a lead paint lawsuit against them. Last week, a federal judge in Wisconsin denied a motion to dismiss a lead paint lawsuit against Sherwin-Williams. The plaintiff, Glen Burton, through his guardian ad litem Susan M. Gramling, sued Sherwin-Williams among 10 others for alleged injuries due to exposure to lead paint in the plaintiff's residence. The lawsuit was invoked under the risk contribution theory - or the theory that if a plaintiff cannot determine the exact manufacturer of the specific paint that caused them harm, they may sue all of the industry leaders. In the plaintiff's case, the paint had been in his residence since before he moved there. Notable lead paint lawsuits have been won under the risk contribution theory. According to the theory, the individual manufacturer becomes responsible for proving that they did not produce the paint in question. Sherwin-Williams argued that the risk contribution theory cannot be invoked unless a plaintiff can prove an "insurmountable obstacle" prevented them from determining the manufacturer of the lead paint in their residence. According to Sherwin-Williams, the plaintiffs should have had the paint chemically tested to narrow down the list of potential manufacturers. Judge Lynn Adelman denied the motion after concluding that the plaintiff did not need to provide a "prerequisite need" to apply the risk contribution theory to his case. "I am not persuaded that the law of risk contribution imposes such a threshold burden on WLC plaintiffs," Judge Adelman said in the judgement. Furthermore, Judge Adelman said that the applicability of the risk contribution theory has already been established by the state supreme court; therefore, it would be "illogical and repetitious" to require the plaintiffs to complete more testing once lead paint was found in the plaintiff's residence. 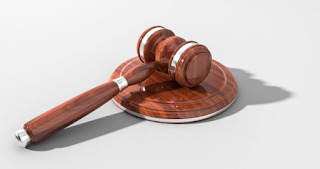 The court added that requiring plaintiffs to demonstrate that they have tried but failed to identify the manufacturer would neither improve the integrity of the process. The case will continue through the Milwaukee County Circuit. To learn more about this case, visit the court document. To learn more about lead paint safety certification and how to get involved in this field, visit Zack Academy.